The Masters 2016 Betting Preview: Will the McIlroy/Spieth Double Act Dominate? The 2016 Masters is just around the corner and golf betting enthusiast couldn't be more pumped. As the sport's top swingers limber up for the tournament, the industry's bookmakers are currently setting their odds for the big event. As you'd expect, last year's winner and current world number one Jordan Spieth is top of the pops for many pundits and tipsters; however, according to the odds, it's Rory McIlroy who looks set to be the hotshot in 2016. Despite the 26-year-old only managing one top ten finish this year, a number of bookmakers are tipping him for the win over the in-form Spieth. Over at Coral Sports the line is currently set at 6/1 for a McIlroy masterclass at the 2016 Masters, while Spieth is a close second in the betting at 7/1. In contrast to Coral Sports' betting experts, the odds makers at 888 Sports can't seem to make up their minds when it comes to McIlroy vs Spieth. Although Spieth has already earned three top ten finishes, including an outright win, McIlroy's reputation this year has forced them to pit both players at 7/1. As if that wasn't confusing enough, the odds at William Hill Sports are different still, with Spieth leading the betting at 11/2 and McIlroy the second betting favourite at 7/1. Essentially, what seems to be the case here is that the 2016 Masters is shaping up to be a two-horse race that none of the odds makers seem to be able to separate. If it was down to form and reputation alone then many bookmakers would happily offer odds on a tie at this point. However, as we know, when the shots start to fly on 7th April, a number of factors could have an impact on the result. 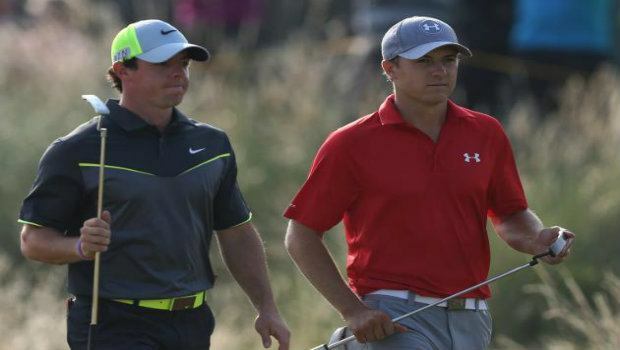 In fact, such is power of Spieth/McIlroy double act at the moment that many pundits have likened it to the Tiger Woods/Phil Mickelson era back in the early noughties. Back when both were in their prime it was a toss up to see which one would win any given major (five out of six from 2001 onwards) and that's a state we find ourselves in now, according to Mark Townsend. However, as Dan Murphy pointed out, the Woods/Mickelson era also saw a host of other players become champions, including the likes of Jim Furyk and Ben Curtis, and this year won't be any different. Jason Day is currently third in the betting at Coral and William Hill with odds of 10/1, and with similar stats to McIlroy this year (they both have one top ten finish), he could certainly challenge the big two between 7th and 10th April. We also can't forget about Phil Mickelson. Although he's past his prime, he and Bubba Watson have won five of the last 12 majors. Looking further down the roster of pros, you've also got the likes of Dustin Johnson who managed three eagles at the 2015 Masters to claim a sixth place finish. Although his name doesn't have the star appeal of Spieth or McIlroy, he's proved he can compete on the course at Augusta. While the odds would suggest the 2016 Golf Masters will be a head-to-head showdown between Northern Ireland's McIlroy and America's Spieth, history would suggest it's not that cut and dry. For prospective punters, this is great news as the odds on everyone not named McIlroy or Spieth are probably a few points higher than they should be. Therefore, if you are looking to place a bet on the 2016 Masters, you shouldn't be afraid to look outside of the top two this year. For the latest odds leading up to the major, visit William Hill Sports today!